Hi everyone, I am glad to announce that the Nokia 2 V and Nokia 3.1 Plus have landed in the US. I am glad to announce that the Nokia 2 V and Nokia 3.1 Plus have landed in the US. Welcome to our US family! @matteo.m These models are technically slightly different from the other "2" and "3.1 plus" (especially the 3.1 plus). Do they get a separate section in these user forums? Perhaps a sub-forum under the main 2.1 and 3.1 plus sub-forums? @madbilly Let me look into it. But as for now, we are thinking of keeping them in the same section! They are not similar at all. The 3.1+ on Cricket should have had a different name, it's bizarre to call it the same phone. It should definitely have a dedicated subforum. The 2V is actually a 2.1 not a 2! It's very confusing to call it the 2V and not the 2.1V. Chance are people will come to the forum and post in the section for the 2 instead of the 2.1. The 2V is also designed for CDMA networks, not normal GSM ones, so there will be different problems and different solutions. Both of these are good reasons to give the 2V its own subforum. @madbilly if HMD Global decided to go with the same name for Cricket Wireless as the Global variant, there should be nothing wrong with it. You can just distinguish them by saying Nokia 3.1 Plus - Global and Nokia 3.1 Plus - Cricket Wireless. However I agree with you that a dedicated subforum should be created for both of these models considering the differences in specs. Or maybe we could have two subforums under Nokia 3.1 Plus for each of the two variants. However as you said, Nokia 2V is basically similar to Nokia 2.1 rather than Nokia 2 which is correct. So we might have a special subforum for Nokia 2V under Nokia 2.1, if HMD Global deems it right. Anyway thanks for the clarification in this regard, we will see how HMD Global manages. > I am glad to announce that the Nokia 2 V and Nokia 3.1 Plus have landed in the US. > Welcome to our US family! > Congrats, Nokia! I always buy unlocked phones but most Americans just go to carrier stores. Hopefully, this will help Nokia break back into the mainstream market in the U.S. Many wondered what is the main goal of Nokia’s return to the smartphone business. For sure it isn’t huge profit as Nokia used to earn before, because time has changed in the industry and it is hard to follow Chinese competition that can manufacture good quality phones for substantially less amount of money, and time the quality maybe isn’t the same, but people don’t want to overprice the phones any more. https://bluestacks.vip/ https://kodi.software/ https://plex.software/ Nokia realized that before it sold its Devices and services business to Microsoft. But, what is the reason to come back then? Well, there are two things left now, technology patents and recognizable brand. Both of those have big potential, and the latter one Nokia needs more than ever. Today’s networking business changed a lot and it is becoming more commercialized and recognized brands will succeed more. 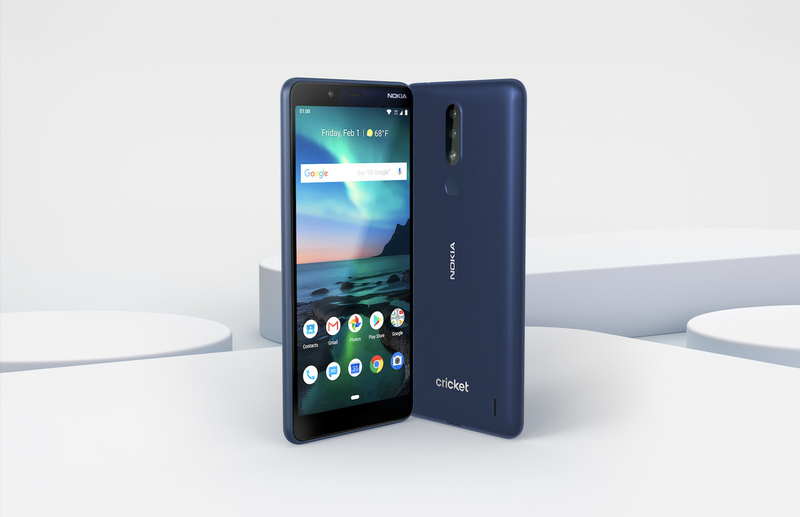 To push things like OZO, MIKA digital assistant, Nokia Smart Home, AVA virtual intelligence, and Withings products, you need to force people to Google Nokia a bit more, and by pushing the Nokia devices backt to the market, that is going to be achieved. Got the cricket phone. The salesman tried to talk me out of it to get a Motorola phone. He asked why, well I have several Windows phones Lumia Nokia. Wanted to check it out. It's "ok" for the average user. But speed I'm use to my Moto z2 force which so far is unmatched with speed. @bilotola it's an Android Go phone, so doesn't need as much memory. If it was normal Android I would agree with you that 1GB is not enough.